Normally $169. Save $90 on remaining stock. Lifetime Warranty. All the features you need, none of the baggage. 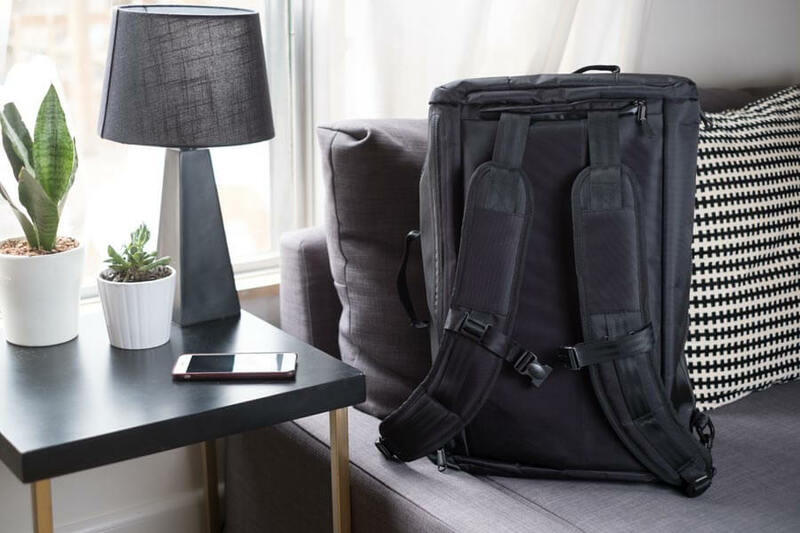 The Continuum is designed to maximize usable space so you can carry all of your stuff but still fit it in any carry on, even on regional jets. Features a laptop compartment for easy access while you travel. At your destination, use our optional laptop sleeve as a minimalist bag. Use it as a backpack or a shoulder bag. In the city, you can hide all the straps and carry it as a briefcase. We stand behind what we make. If your Mr. Davis bag or sleeve suffers from any defect in materials and workmanship we'll repair or replace it. US Customers who buy a Continuum will get Free Priority Shipping. Orders placed before 2pm ET ship the same day. We provide free US returns on any unused bags or sleeves within 100 days of purchase. Email us and we'll send you a shipping label. Premium Materials: 840D water resistant ballistic nylon. Waterproof zippers throughout. 5-bar nylon seat belt handles and straps. Perfect Size: Its 30 L capacity gives you all the room you need for 3-5 nights without the bulk or weight of a typical carry on. Versatile Side Pockets: Two collapsible endcap pockets provide room for two pairs of shoes or a trip’s worth of dirty laundry. Dopp kits fit nicely as well. Your trips are easier and more fun. 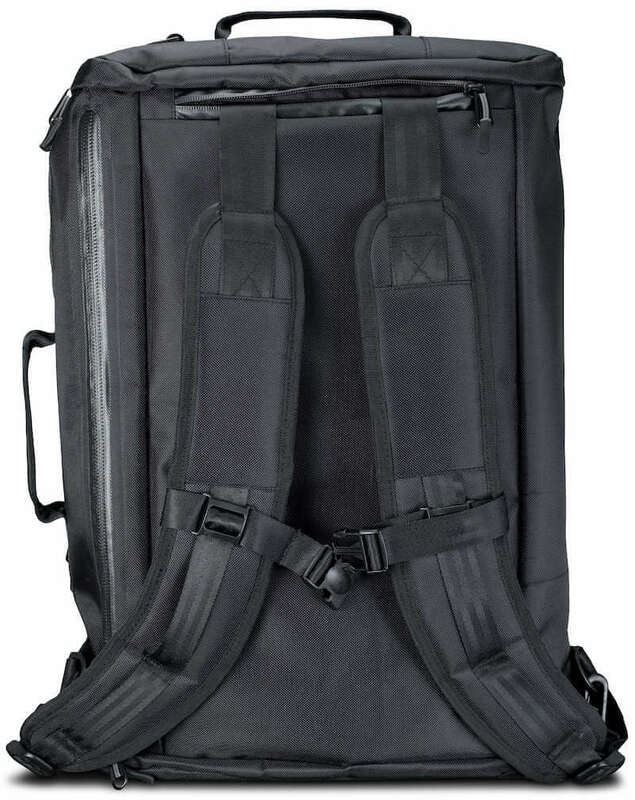 Allows you to Explore: The most popular way to carry is backpack mode. Get out and see the world while staying hands free and not constrained with wheeled luggage. Built to Last: Our backpack straps are reinforced to the main bag using 5-bar nylon straps and stitching. They will never give out with added weight. Speed + Comfort: The backpack straps are designed wide with optimal mesh padding to ensure all day use and breathability. Plus you can get around more easily than people on wheels. Good Weight Distribution: The laptop compartment is located against your back, so the added weight does not cause pulling or back discomfort. You get through security faster. You can actually explore. TSA Stash Pocket: The fleece-lined and waterproof stash pocket makes getting in and out of security a breeze. Waterproof Zippers: Your stuff is valuable, so we help keep it dry. 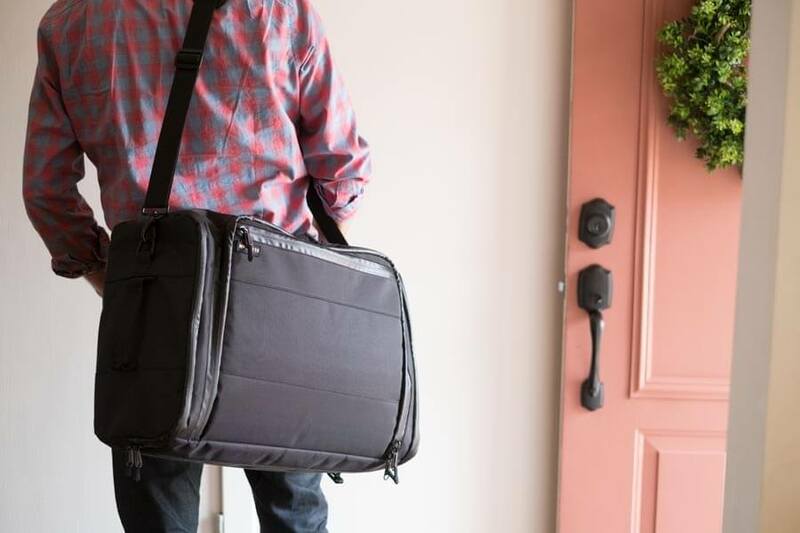 Designed for Laptops: The padded laptop compartment makes this a truly one-bag-travel bag. Fits most thinner 15” laptops. Matching sleeves optional. If we haven't answered your question here, we're quick to answer at support@mrdavis.com. How much can the Continuum carry - how big is it? The Continuum easily handle a three to four night trip. 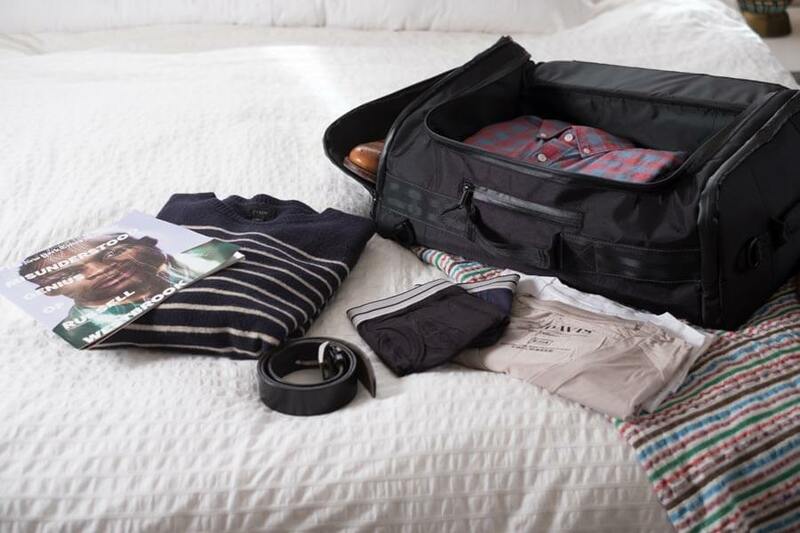 If you’re an efficient packer, you can get five to seven nights from a bag that will fit in any overhead bin, even on international and commuter flights. 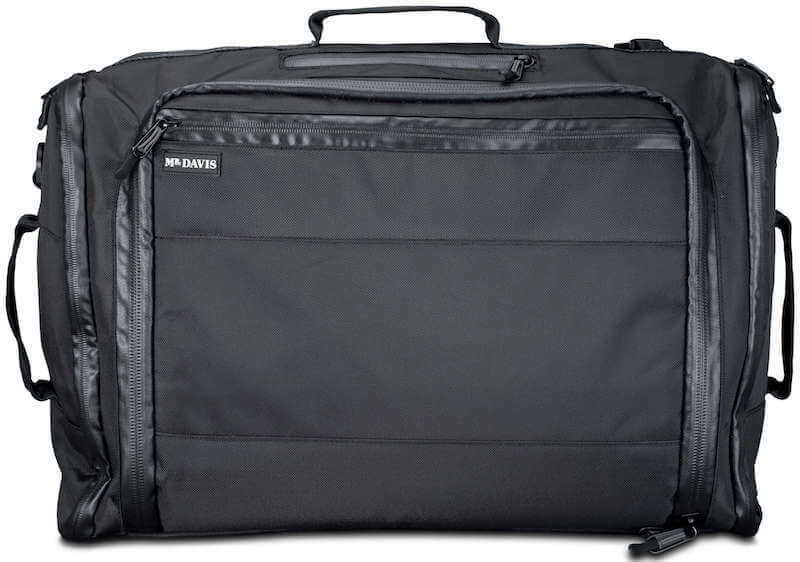 The Continuum is a 30 L bag. We’ve never found a carry-on size limit it wouldn’t fit, and if it’s not too full, you may be able to sneak it in as a personal bag and stuff it under the seat in front of you. What's the bag made of? The shell is made of an innovative PVC Backed 840D Ballistic Nylon. It’s tough as nails and is effectively waterproof except in the most hostile of conditions so your stuff will stay dry. Is the Continuum water resistant? The inside of the bag is coated with PVC to protect against spills and moisture. It will keep out heavy rain but if you submerge it, water will get in. The zippers are sealed to keep water out as well. How should I wash my bag? We recommend you periodically wipe your bag with soap and water to keep it clean. It is not meant to be machined washed as the straps may snag. First, you must contact us at support@mrdavis.com to obtain approval for the return. If you send us a return without an RA#, we will not be able to process it. Upon approving your return, we’ll send you a prepaid shipping label including the RA#. Once we receive your item, we’ll process your return and refund your card for your purchase price. How do I exchange an item from my order? If you have issues with sizing or selection we provide FREE shipping both ways on exchanges (US only) of your Mr. Davis to get you in the right product. We use the same process we do for returns. We cannot exchange international orders at this time. We accept Visa, MasterCard, Discover and American Express. Email us at support@mrdavis.com if you need to make special payment arrangements. How does the laptop sleeve work? We rarely go anywhere without a laptop, so it was a priority to make traveling with a laptop simple and easy. 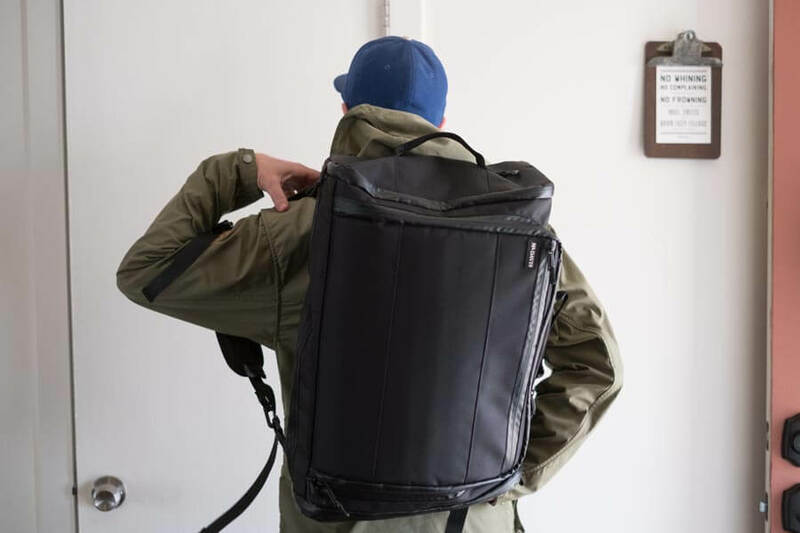 To do this we built a matching laptop sleeve that slides into each main bag. 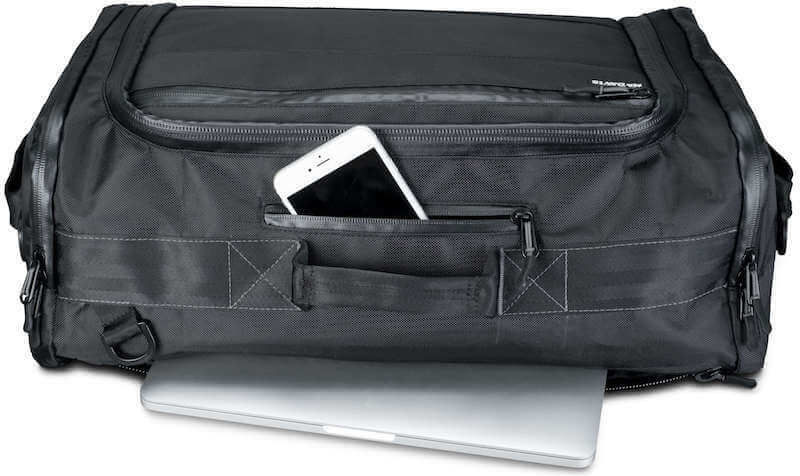 The main bag’s strap can be used with the sleeve to create the perfect on-the-go laptop bag. In Two Sizes: 13″ and 15″. As far as sizing goes, the 13″ easily fits both MacBooks and MacBook Airs, we’ve even squeezed in the new 2016 MacBook Pro into the 13″ sleeve, though we can’t guarantee this will work for all sleeves. The 15″ sleeve accommodates most thinner 15″ laptops. In-Sleeve Charging: Our double-zippered ingress opens wide enough that you can charge while your laptop is safe in its case. TSA Compliant: We comply with TSA specs so you don’t have to remove your laptop from the sleeve to x-ray it. Becomes a Bag: Our included d-rings attach to the bag’s strap so you have a perfect small bag while you’re on the road. Will it fit my shoes? The Continuum 2.0 is designed to be very shoe friendly. It features two big shoe pockets for running shoes or to keep your dirty laundry separate. We pride ourselves in working with the best materials and manufacturers for everything we make. We'll never produce anything we don't like ourselves or launch a new product just because it makes money. We stand behind everything we make. If you experience any issues with your Mr. Davis products or your purchase experience, email us at support@mrdavis.com and we'll do everything we can to make it right. © 2019 Mr. Davis: Quite Possibly the World's Best Undershirt.